Today’s massive, multifaceted, and vibrant community has its roots in less than a dozen college students in the 1960s. We trace the fascinating journey of Indians in ​Atlanta, from the time when remnants of segregation were still visible, to today’s proliferation of things ​Indian in Atlanta—​Bollywood movies in ​AMCs and ​Regal ​Cinemas, ​Indian food isles in major supermarket chains, not to mention the 24/7 real-time connection to ​Indian media, entertainment, and a thousand other markers of the “​Indianization” of ​​Atlanta. Vishal Gandhi was awestruck. As someone visiting from India, he had not quite foreseen such a spectacle of Indians in America. As the car inched closer to the Sardar Bhavan Hall in Tucker, in the dim of the night, he could see hordes of people walking towards the Hall, many sporting saris and salwar kameezes. “Wow!” exclaimed Vishal as he walked towards the main door. “It’s just like India,” he observed gazing at the thousands of bobbing heads in the huge Hall. It was Gujarati Samaj’s Navratri 2002 celebrations. According to Amit Shah, then President of the Gujarati Samaj, on their busiest night, they had over 5,000 people attend. Fast forward to 2017, and Shakti Mandir, on the south side of metro Atlanta drew a crowd of over 8,000. And that is just one of the three or four “big” Navratris that are now celebrated in the city. Based on the estimates provided by these organizations, it is safe to say that over 12,000 were making merry throughout Atlanta on the busiest night of the festival—all decked in their finest traditional wear. For further perspective on the explosion of the Indian population in Atlanta that has occurred in just a few decades, consider that these thousands of Navratri revellers were mainly from the Gujarati community, which is only one of the many regional communities of Indian immigrants who now call metro Atlanta home. In 1958, a young Senator from Massachusetts stood on the Floor of the United States Senate and condemned what he called his country’s “racist immigration policies of old that discriminated against people of Asian origin.” Two years later, America said “good bye” to President Dwight D. Eisenhower and rolled out the red carpet for that same young senator, John F. Kennedy—and with him, it seems, for Indian immigrants as well. Even as America shaped up as the destination of choice for the ambitious young Indian elite, the “Deep South” was viewed with apprehension. Remnants of segregation were still lingering. Georgia was smack in the midst of the conservative Bible Belt. The racist legacy of the KKK was still smoldering if not raging. At least from the stereotypes, it did not appear as a region that would be welcoming of foreigners. With such being the repute of the land, the early Indian migrants here treaded on uncharted territory. Far away from their motherland, they would have to brave a country “foreign” in every sense of the word. 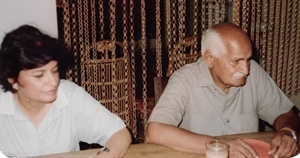 (Left) Mr. and Mrs. Jagan Bhargave, 1967. Those who ventured here despite those concerns were well-rewarded. In the early 1960s, a mere half dozen students at Georgia Tech made up the entire Indian population in the area. 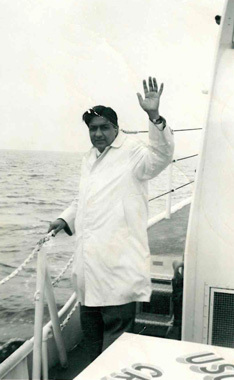 Among them was Jagan Bhargave who came to Atlanta in 1962, and holds the unique distinction of being one of the first Indian immigrants here who have continued to live in the city. While there were perhaps a handful of Indians who had come before him, they were all students who went on to other pastures after completing their studies in Atlanta. (Left)Mr. Sohan Manocha remembers how Interstate 1-75 ended at West Paces Ferry Road, when he first moved to the city! Talking to these pioneers, two distinct impressions emerge of how Indians were received in the region. From one perspective, the lingering segregation managed to taint the experience of some of the early Indians in Atlanta. Dr. Manocha remembers an incident from 1965, when he and his wife were driving back to Georgia from New Orleans, and they had to make a restroom stop. “I was handed the key for the ‘colored’ bathroom,” he now recalls with amusement, even though at the time, he said, it was humiliating. Growing up in India with an image of America as a progressive and scientifically dynamic country, he remembers being quite shocked at this regressive aspect of segregation in his new homeland. Dr. Manocha’s wife, Mrs. Swaran Manocha, who had a Master’s degree, had been interviewing for a teacher’s position and was being repeatedly rejected even in schools that had a definite need. When confronted, one interviewer even ventured to say that he wouldn’t hire her because she would be bringing ‘foreign influence’ into the school. Similarly, there were incidents in the ’60s where dark skinned Indians were denied service in restaurants. On the other, more pervasive side, most early Indians had nothing but high praise for how warmly they were welcomed and embraced by their coworkers and neighbors in their new land. It appears Southern hospitality had won over Deep South attitudes when it came to the initial assimilation experiences of Indians. 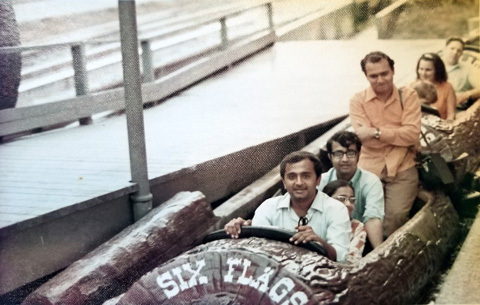 Niranjan Sampat (3rd from front) at Six Flags over Georgia, late ‘60s. On the front is Kirit Gandhi, another pioneer of Atlanta. Most of the pioneers we interviewed pointed out that the first wave of immigrants were primarily professionals— scientists and engineers, many of whom were working on their postgraduate and even doctorate degrees. This, according to them, was the reason for the high regard in which Indians were held among locals. The welcome they received didn’t make their transition and assimilation any less daunting. “East is East, and West is West, and never the twain shall meet,” so prophesied Rudyard Kipling over a century ago. Now these pioneers were set to prove Kipling wrong by merging their Eastern ways into their new Western lives. The challenges were many. To begin with, they had to contend with a whole new diet that was foundationally different, not to mention religiously out-of-bounds for many of the avowed vegetarians. Growing up in the land of chai and rich spices, one can only imagine the discord to the Indian palate that the typical local fare of steak, sweet corn bread, and mashed potatoes would inflict. “Vegetarianism was seen as totally strange. On top of that, the bland food was very hard to relish. There was nothing available for the Indian taste buds,” observed Mr. Bhargave. “In the ‘60s, even a Mexican restaurant was out of the question. Chinese was the only ethnic food you could find,” he added. The lack of traditional Indian produce and spices compelled the young new migrants to be creative—such as using yellow split peas to make daal, and Bisquick to make gulab jamuns. The old-timers would well heed us to drop to our knees and thank our lucky stars that today we have an Indian grocery store in just about every suburb of Atlanta. There was a time when there were none—and the early Indians propelled by the power of their palates ordered Indian groceries by mail... all the way from New York. 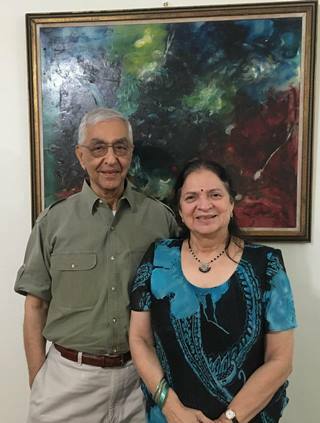 Mrs. Girija Vijay who came to Atlanta with husband Dr. K. K. Vijay in 1965, recalls that a bunch of Indians would join together to order a shipment of groceries from Pathak Condiments in London, England. “And the sarees would have to be ordered from Harilela of Hong Kong! !” she added. 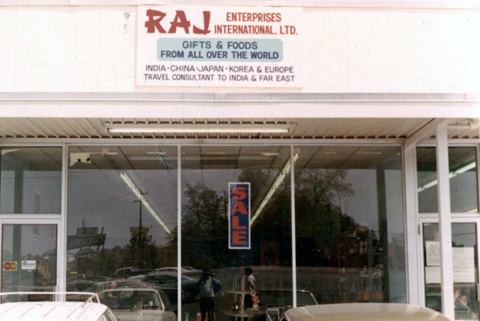 Raj Enterprises, Atlanta’s first Indian grocery store, started in 1972. At left is Raj Shah, the man behind it. 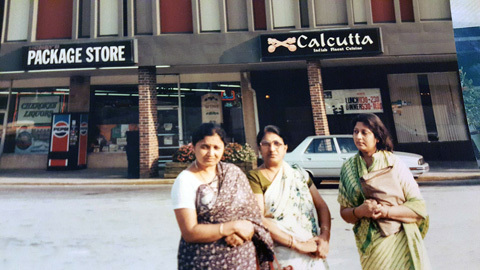 Similarly many remember fondly the Calcutta Restaurant that started in 1973, as the first Indian restaurant in Atlanta. Besides the everyday food issue, challenges of assimilation abounded in just about all spheres of life. Steep learning curves, culture clash, accent, and communication hurdles all posed problems. To begin with, the disparity in technology and modern conveniences between India and the U.S. was huge in those days. An Indian immigrant coming today is very much at home here, now that the world has turned into a ‘global village.’ Back then, even rudimentary things such as an escalator and revolving doors were “firsts” for Indians. Not stepping in two-at-a-time into a revolving door may seem like common sense, but to a newly arrived Indian who, to begin with, was inundated with sensory overload of all kinds, and who was used to crowding in local buses and trains back home, such presence of mind would be expecting much. 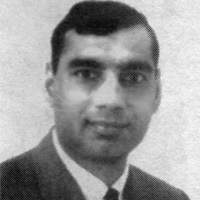 Dr. Bhagirath Majmudar, then (1965); and now, just prior to his recent retirement after a distinguished career in medicine at Emory University and Grady Hospital. Many such embarrassing predicaments came about, not because of lack of any native intellect or common sense, but simply because things were new and different. Dr. Bhagirath Majmudar, a veteran of the community, recounted a humorous story that was making the rounds in those days. An Indian ordered tea at a fast food restaurant and was handed hot water along with the tea bag and a couple of packs of sugar. After some contemplation, he tore open the tea bag and proceeded to pour it into the hot water. Observing this, the kind attendant mentioned that actually the whole tea bag needed to be dipped into the water and then stirred. He was given a new glass of hot water and the tea bag as well. This time our gentleman followed instructions. The tea bag was duly dipped into the water... only to follow it with the two packs of sugar, unopened and intact, as well! Humor aside, there were graver issues that the early migrants faced. Chief among them were acute displacement and loneliness. Coming from crowded cities and joint families back home, the Indians were now mostly alone at home, or at best a couple. Today, immigrating to America is a “piece of cake,” from the standpoint of culture, if not from the standpoint of the political mood that has turned anti-immigrant. Most of the new immigrants are acclimated to the technology, amenities, and even the slang of America, and have an enviable network of friends and family. The loneliness was further aggravated by the displacement. Many of the first migrants came here by traveling for weeks on a ship and America was literally worlds apart. When they came, they were often disconnected from their families for weeks and months on end. The impracticality of phone connectivity was further compounded by the lack of sufficient phones in rural areas in India. 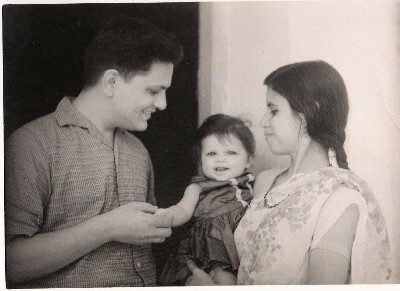 When Dr. K. K. and Mrs. Girija Vijay came in 1965, that was the case for Kota, the small Rajasthani town that they came from. They remember that in order to convey any urgent message to their family in Kota, they would first have to call their friend in New Delhi, who would then attempt to call Kota over a couple of days. 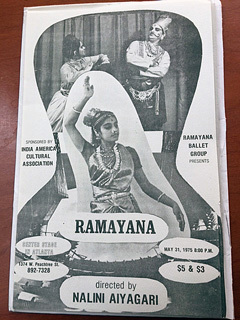 Such solidarity was alive and thriving even as late as 1977 when Raman Patel came to Atlanta. Soon after moving, Mr. Patel was hankering to make the acquaintance of another Indian soul. 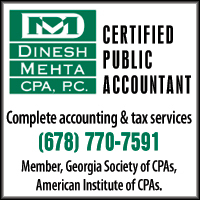 He looked in the Cobb county phone book for Indian last names, and stumbled upon Dr. Prakash Desai in Mableton. He coldcalled Dr. Desai and introduced himself saying that he was looking to make some Indian friends. To this, Dr. Desai replied, “I don’t make friends over phone! Come on for dinner!” Such stories abound of how the early migrants made lifelong friendships—just on the sole binding tie that they shared an Indian nationality. In the formative years of the early ’60s, the entire “community” would often meet at individuals’ homes. Manocha remembers that Jagan Bhargave and the late Raj Chawla had a home at what used to be Williams Street (now the downtown connector runs over it!). “It seems like every Indian had a standing invitation to their place.” Similarly the house of Dr. K. K. Vijay and Mrs. Girija Vijay, next to Piedmont Park, was another popular hangout for Indians. As more Indians started trickling in, meetings proposing a formal organization were often held at these residences. 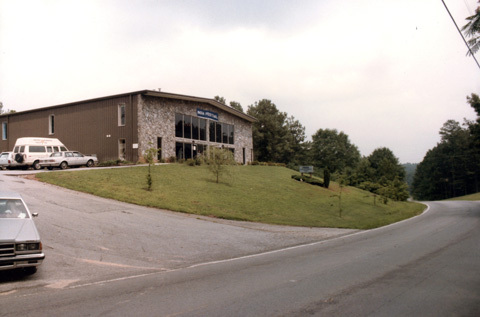 As a result, the India Club of Georgia Tech was conceived in the late ’60s as the first informal organization representing the community. The rationale behind forming the organization around the University was twofold. A large percentage of the early Indian immigrants were students. But more importantly, aligning with the University meant being able to access many of its facilities, for meetings and special Indian movie screenings, among others. It was not until 1971, while collecting funds for a famine in Bengal, that they were told that a registered, nonprofit status was needed to formally collect funds. 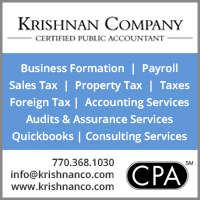 This gave rise to the first formal Indian organization in Atlanta, the India American Cultural Association (IACA). That year, it had just about 100 members— which constituted practically all of the community. “Even with the small numbers, we were successful in raising thousands of dollars’ worth of cash, medicine, and other supplies to aid the victims,” declares Mr. Bhargave. With such being the ethos and the spirit behind the organization, it is no surprise that IACA played a crucial role in the growing community in the ’70s and ’80s. As the children of the first wave of immigrants started growing up, the elders realized the need to instil Indian culture and heritage in them. A need for a physical center—a place the community could call its own—was now acutely felt. With that goal in mind, fundraising efforts began for the purchase of an IACA building. The ’70s thus saw the transition of Indians from a group to what now could be called a community. The AJC article estimated a little over 1,000 Indian-Americans in the area at the time. The solidarity and singularity though, was still very much intact. Regional affiliations and organizations had still not afflicted the harmony. With the goal of a proper facility for IACA still at hand, much remained to be done in the area of fundraising. The enterprising folks at the helm saw a distinct opportunity in the popular annual local tradition of those times—the Piedmont Arts Festival. In an otherwise conservative city, this was one festival that pulled the kind of crowd that was cosmopolitan and adventurous, and not afraid to try new experiences. “Perfect,” thought the folks at IACA, and started an Indian food booth at the Festival. 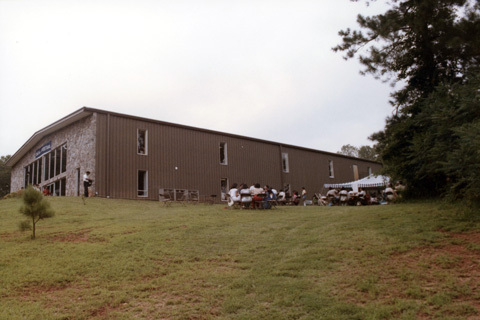 The IACA building, the Atlanta community’s first place to call its own as a community gathering spot. With this started an annual IACA tradition that lasted from 1978 to 1982. It was not only highly successful in raising funds, but is also fondly remembered by many who participated. This Fall festival that lasted for nine days truly brought the community together. Only three items were sold at the booth—samosas, kabobs, and mango lassi. Its popularity increased such that in 1980, the IACA booth received the “Best Food” award. The Vijay residence, which was close to Piedmont Park, would bear the brunt of the cooking. Later this ‘privilege’ went to other homes such as that of Raman Patel who was President of IACA in 1982. With passing years and growing numbers, the Indians’ identification with their new home country began to mature. The first wave of migrants slowly but steadily gave in to America’s embrace. As their children went to girl scouts and boy scouts, and later to high school proms, the parents realized that they were raising American children. Regardless of when it happened, such an identity transformation, from an Indian living in America to an Indian-American was evident in many of the first wave of immigrants who now were putting down roots in the country. As with the rest of the nation, Atlanta saw a tremendous influx of Indian immigrants in the ’80s and ’90s. Slowly, the community started changing from purely professionals to a mix of entrepreneurs, blue collar workers, and others. Indians took to small business enterprise like bees to flowers. 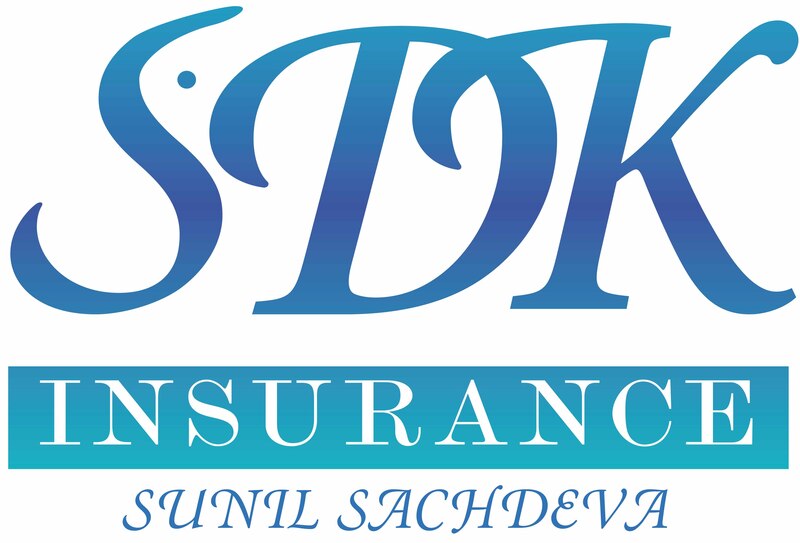 By then, the Patels had already started carving a niche for themselves in the lodging industry. The tech revolution that took full bloom in the 1990s further boosted the stock of Atlanta’s Indians. The young 20-something Indian professionals came, and from day one, started drawing salaries that made the whole notion of “struggling to settle down” a quaint one. The old timers who had worked for years to attain their American dream saw these young whiz kids come and buy brand new cars virtually within days of arriving. The community today is indeed a far cry from the time Jagan Bhargave set foot on this land. Today, Atlanta boasts of a few dozen Indian restaurants, not to mention another dozen or so that keep coming and going every year. These restaurants cater to every regional bent from North Indian to South Indian and from Gujarati to Hyderabadi, and even Indian Chinese. Likewise, the over 100 retail stores in the metro area ensure that we can practically duplicate any Indian consumer experience from back home. And what to say of the proliferation of regional Indian affiliations? If anything, the pet peeve of our times is that “We have way too many associations!” Today, we have Indian associations defined not only by the states that we came from, but also the language, religion, caste, subcaste, and even the house deities of our families! Regional conferences of Gujarati, Bengali, Tamil, or Telugu, for example, generate a turnout of thousands. The early immigrants dared to leave behind the familiarity and comfort of their birthplace for a truly foreign country. Overcoming the challenges of language, culture, and in many cases, discrimination, they built lives for themselves during a very tumultuous time in America’s social history. Today, our unceasing growth along with technology and media, has helped us almost recreate a robust, successful community. 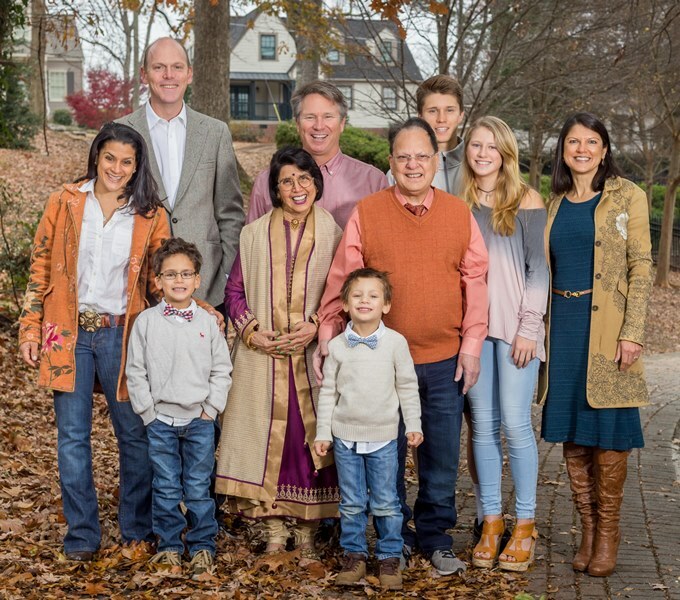 The over 100,000 Indians living throughout Georgia owe a great deal to those industrious and brave individuals who laid the foundations on which our community thrives today. The original article, previously published in Khabar in 2002, was co-authored by Mathew T. Mathews and Parthiv N. Parekh. This updated version was rewritten by Parekh. Having read about the milestones of the community in the first part of this cover feature, let’s take a closer look at the stories of some of its peoples. Thanks to the committed efforts of FRANKLIN ABBOTT, an Atlanta psychotherapist, writer, and musician, who is also a volunteer in recording oral histories in the archives at Georgia State University, we now have a source and a home for such stories—the new South Asian collection in the GSU archives. 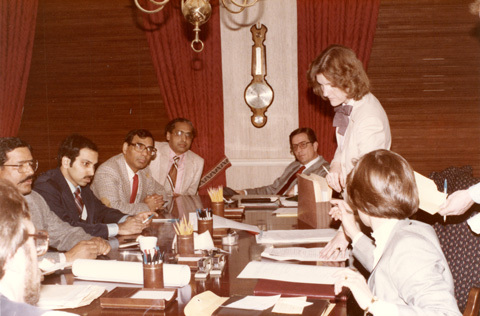 Here, Abbott talks a bit about the archives and the impetus behind it, and offers profiles of seven South Asian pioneers who are now in their retirement years. They have combined successful professional lives with civic engagement, enriching their new home country with the richness and depth of their native cultures. – Parthiv Parekh, editorial, Khabar magazine, February 2013. When I read these words five years ago it rang a bell. I was deeply involved with the gift of my papers to the archives at Georgia State University and as a part of that beginning a series of oral histories with people who were important to me and to my community. I called Khabar and spoke with its editors and subsequently set up a meeting for them with the archivists at GSU. A seed was planted. Since then I have begun a process of interviewing some of the elders of Atlanta's South Asian Community. My initial contact was Dr. Kamla Dutt, whom I knew through Atlanta's literary scene. We are both poets. I worked with Dr. Dutt to host a reading at the Decatur Library that featured many of Atlanta's South Asian poets and writers, and met the Majmudars. It has been a privilege for me to conduct oral histories with some of Atlanta's earliest South Asian residents. Their oral histories are now part of a new South Asian collection in the archives at GSU. Katherine Fisher is the new community collections archivist at GSU and along with Morna Gerrard, who is the head of the Women and Gender and Sexuality collections, is working to build a South Asian collection. What follows is a synopsis of seven of the oral histories. More are needed along with artifacts, publications, and photos. For more information, contact kfisher11@gsu.edu. GSU conducts workshops for those wanting to learn how to conduct oral histories. 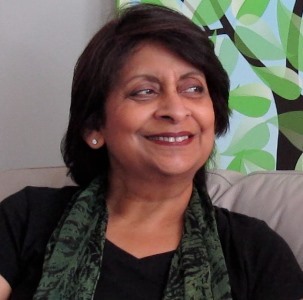 Dr. Kamla Dutt is a retired Professor of Pathology at Morehouse School of Medicine, a writer of two acclaimed short story collections in Hindi, and a poet in English. A veteran of the community who was one of those involved in its early institutions, she had worked with the King Center on commemorations of Gandhi’s birthday. 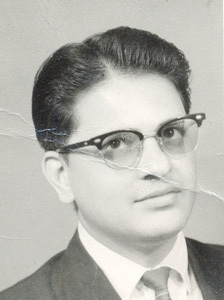 Dr. Dutt grew up in Chandigarh. Her father encouraged her to be independent and supported her in her studies of science and her love for poetry, theater, and music. Science became her priority and the focus of her career. “Dislocation is an inherent part of creativity,” Dr. Dutt shares. Not having a sense of belonging, being in a place between the worlds of her native India, where her family still resides and where she spends time every year, and her home in Atlanta, is a part of what compels her creativity. 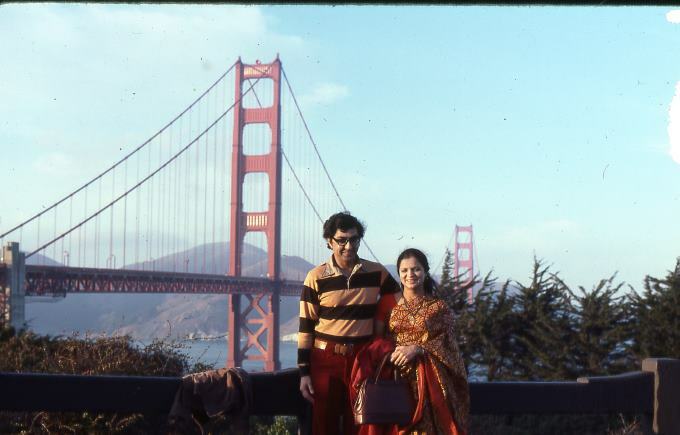 Her parents encouraged her aspirations to study in the U.S., and all the arrangements for her studies had been completed when her father died suddenly. She received support from a family friend in the U.S. as well as her university, and she left India to begin a new life abroad. Dr. Jain has had a successful career as a psychologist and a family therapist. She opened Pathways Transition Programs in 1991 and worked with clinicians to develop programs for families in distress. She continues working to train therapists to work with families and shares her “Growing Children” program for parents in seminars and webinars. The Desais moved to Atlanta when he got a job teaching at Georgia Tech. They faced the struggles of a young couple, compounded by being thousands of miles from family support. 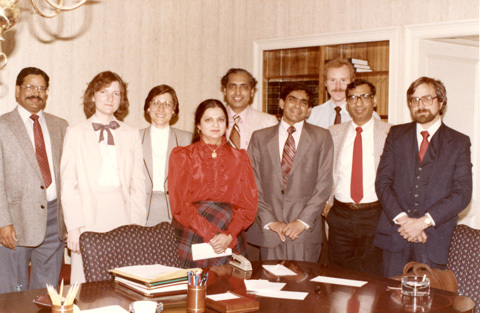 While Dr. Desai was teaching and working on tenure, Mrs. Desai studied law at Emory Law School and worked on revising the 2-volume Georgia Encyclopedia of Law. Their busy careers notwithstanding, the Desais made time for participating in public life. Dr. Desai joined the civil rights movement and worked on voter registration and Andrew Young’s Congressional campaign. 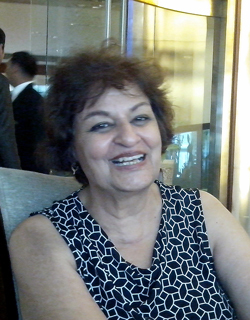 Vibha Desai, along with Usha Kadaba, started the first Indian dance and music academy in 1981. 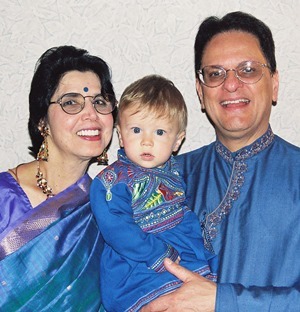 They began lessons in the Desai home for three students and, as their student body grew, moved classes to the new Indian cultural center, IACA, which the Desais had helped found. 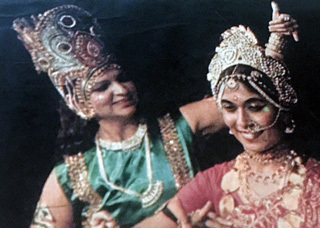 Students learned Indian classical dance and music and performed in many venues including King Center events, the Coca Cola centennial, and the 1988 Democratic Convention. 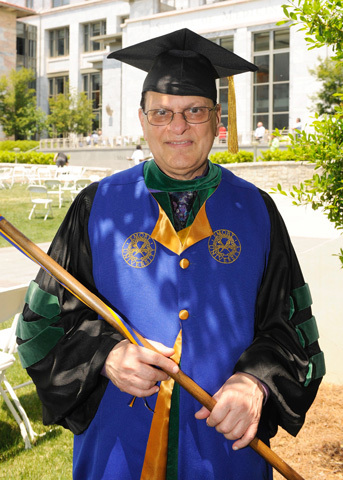 Before his retirement Dr. Desai taught 10,000 undergraduate students and 1,000 graduate students, supervising 18 Ph.D. dissertations. He has had teaching sabbaticals in Denmark, France, China, and Venezuela and was named National Educator of the Year in 2000 by the American Society of Engineering Education. The Desais are devoted grandparents, dividing their time between Atlanta and California where their son and his family lives. Compared to the over two and a half million immigrants from India and their children, there are only half a million Pakistanis, 57,000 Bangladeshis, and 45,000 Sri Lankans living in the United States according to the Migration Policy Institute. These South Asian groups have many things in common and many differences. Sabiah Mujtaba was born in Pakistan but raised in the UK. She attended college there, met her husband, and her family migrated first to Panama and two years later to the USA. Ms. Mujtaba remembers what it was like to move to Atlanta, "In the early 80s, Atlanta felt quite small to me in many ways. Having grown up in UK with the cultural diversity, I was particularly surprised at how many people didn't know where Pakistan was. India yes, so the conversations usually led to a very brief geography and history lesson. 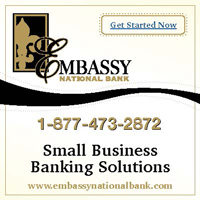 "The challenges happened when we became green card holders and then citizens. Now we were multicultural Americans negotiating how to fit in. After some trial periods, our two sets of parents made choices to live in the States or not. I grew up in the Western culture and my parents had not created unreasonable restrictions based on religion." (Left) Sarasvati Devi by Sabiah Mujtaba, commissioned 2014, Atlanta, GA.
Having grown up in the UK, her perspective on raising her daughter in the USA was a little different. She says, "My daughter was just under four when we arrived. With my two nieces arriving when she was eight, and the three of them so close in their ages and very open to crosscultural experiences, their friends were of all ethnicities. As an extended family, we had no problems in associating with or moving within our adopted country. Of course, I do understand that the various cultures have created individual ethnic communities to keep their root identities and shelter themselves from dilution or absorption by the host culture. My siblings and I were brought up to 'fit in,' be open to all that was offered, and still remain with the ethical norms of our culture. I feel that in my own family that has been the case, too. We have mixed marriages with grandchildren who will continue to make America a mixed race/multicultural country." Practise of my craft, in studio, Chrysalis Woodworks, Atlanta, GA.
Ms. Mujtaba attended art school in London. It was not until later in life that she decided to make art a career. She apprenticed with Sutherland Studios and began to work with wood and furniture. 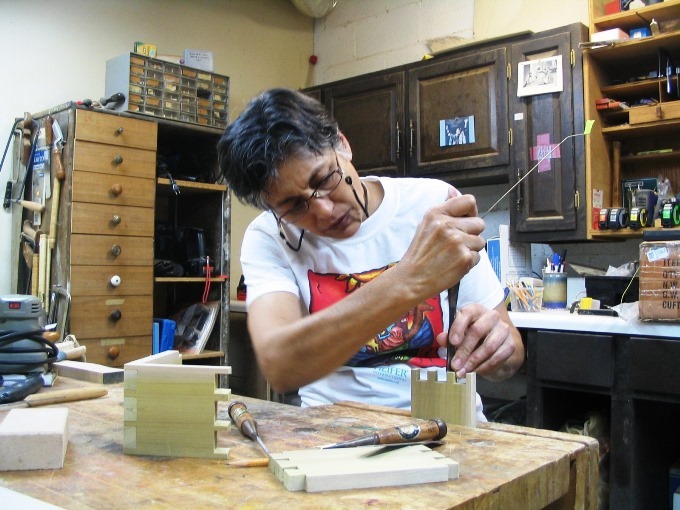 In 1986 she started Chrysalis Woodworks and began accepting commissions. Her work has varied from one-of-a-kind shelves and room dividers to wooden sculpture pieces. 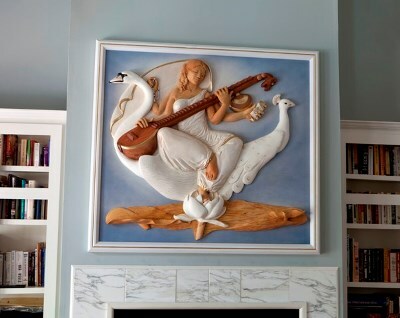 Her most recent commissions have been for figurative carvings in a church in Knoxville, TN. 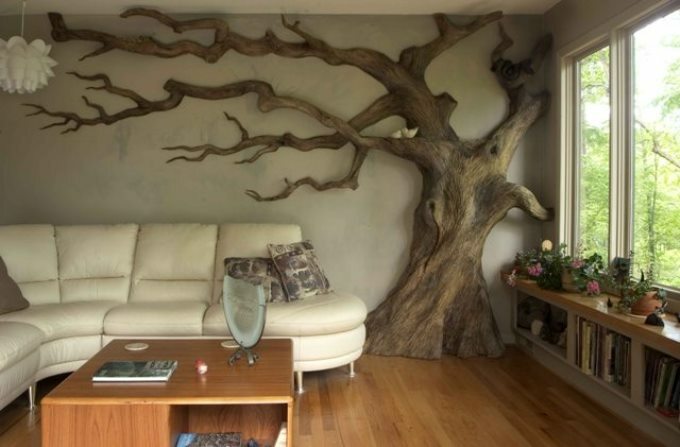 She also teaches woodworking, carving, and design at Highland Woodworking in Atlanta. She remains close to her daughter and active in her family life. By profession, Dr. Bhagirath Majmudar is an Emeritus Professor of Pathology and Associate Professor of Gynecology and Obstetrics at Emory University. By passion, he is a Hindu priest who has presided over 350 marriages. Also a Sanskrit scholar, a poet, and a pillar of the community—the identities of Dr. Majmudar are many and layered. Dr. Majmudar along with his wife Dr. Uma Majmudar have remained deeply connected to their spiritual roots, much like many of the Indian community in Atlanta. He is a lifelong student of Sanskrit and has written poetry and prose in Sanskrit, Hindi, Gujarati, and English. He has conducted classes for children in Indian culture and even learned Indian classical dance in order to perform as Ravana in a much anticipated production of the Ramayana. Dr. Majmudar has received numerous awards for teaching including the Dean’s Best Teacher Award and Emory Medical School’s highest award for teaching. He was chosen for the World Health Organization (WHO) Geneva’s Team for Reproductive Biology. Dr. Uma Majmudar had worked as a drama artiste and stage performer in India for All India Radio. Daughter of a lawyer who practiced as a public prosecutor in Ahmedabad, she imbibed an appreciation for books and literature from her father. She earned her doctorate from Emory University in 1996. The topic of her dissertation was “Mahatma Gandhi’s Trajectory of Truth and Fowler’s Theory of Stages of Faith.” She has taught at Emory, and in the Religion and Philosophy Department at Spelman College, where she offered a course on the Bhagavad Gita last Spring. “No other topic occupied my mind as much and as seriously as this: how to bring up our two daughters to make them feel at home both in America and India, their inherited ancestral home!” exclaims Dr. Uma Majmudar. They invested in preparing them positively for a bilingual, bicultural, and bireligious life here. At home we tried to create an environment in which both cultures breathed freely. American friends of our children were as welcome at our home as Indian, and so also were the foods, languages, and celebrations of different religious holidays. Each culture has its shortcomings and each has positive aspects. Our goal was to make them aware of both and then trust their judgment to make the right choice without being judgmental as parents. Looking at the results today, we feel deeply satisfied, if not also proud of the way they turned out. It fills our hearts with unspeakable joy and gratitude to see our grown daughters teach their children the same Sanskrit shlokas, recite prayers, read and tell them such stories as “Bhakta Prahlad” or “Bal Krishna, the Butter Thief”! 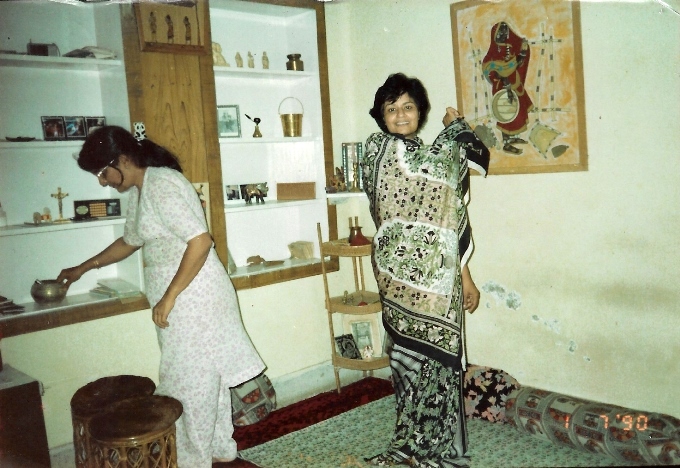 Dr. Uma Majmudar, in addition to parenting, graduate studies, and teaching was very active in the early years of the Indian community’s cultural development. 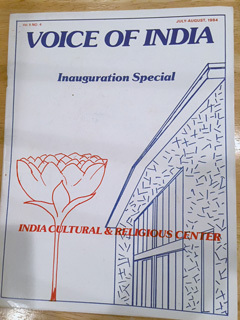 In 1976 she founded and edited The Voice of India, a quarterly newsletter of the India American Cultural Association (IACA). She wrote a plethora of articles for The Atlanta Journal and Constitution, American Vedantist, India Abroad, India West, India Journal, and Khabar. She is author of Gandhi’s Pilgrimage of Faith: From Darkness to Light published by the State University of New York Press in 2005 and is working on a second book for the same press entitled Mahatma-to-be and Mahatma-maker: Gandhi and Rajachandra. She and her husband Dr. Bhagirath Majmudar remain active in Atlanta’s Indian community and are devoted grandparents. "I do not want my house to be walled in on all sides and my windows to be stuffed. I want the cultures of all the lands to be blown about my house as freely as possible, but I refuse to be blown off my feet by any." In his new book The Other One Percent : Indians in America (Oxford University Press, 2017), Professor Devesh Kapur talks about the amazing success of Indian immigration to the USA. Immigrant Indians and their children now make up more than 1 percent of the U.S. population. They are the most educated and economically successful group in the country. Our subjects were all part of the first wave of Indian immigration that came in the wake of the Immigration and Nationality Act of 1965, which changed the rules of immigration to favor skills and families. Most of this group were well educated doctors and scientists. The next wave to follow was of their family members. About two-thirds of India-born Americans came in the third wave. Dr. Kapur calls them "the IT generation." Their world is very different from that of the first generation who paved the way for all who followed. Each of the individuals interviewed for this article came to the USA at a time when very few South Asians did. They were all young, beginning careers, raising families, and looking out for each other. Jhumpa Lahiri in her story "When Mr. Pirzada Came to Dine" talks about an Indian couple in the first wave of immigration who were part of an academic community. Every year they would scan the faculty register for names they were familiar with, names from the part of the world they came from, and reach out to the newcomers in search of a sense of community. Our subjects in this article did more than just reach out. Together they forged a vital community with formal institutions and informal links. 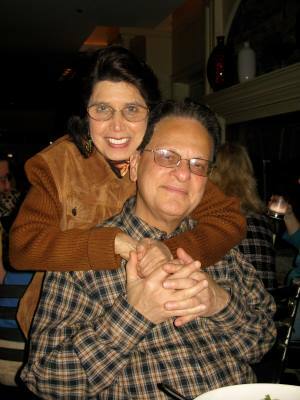 Between them they have taught thousands of students, written books, done substantive research, created art and poetry. They have fostered traditions from home in a new world, giving the young people of their community access to language, music, and spirituality from their country of origin. They have made their new country better than they found it. Their contributions are undeniable and of great value. They are only a few of their generation whose stories need to be preserved. Courage and creativity are among the many gifts of their celebrated lives. "Indian Classical Dance & Music Over The Years"